Gus Van Sant’s shot-for-shot remake of Psycho was a pretty miserable failure, but in retrospect it’s clear that his biggest mistake was not casting kittens in the roles of Marion Crane and Norman Bates. 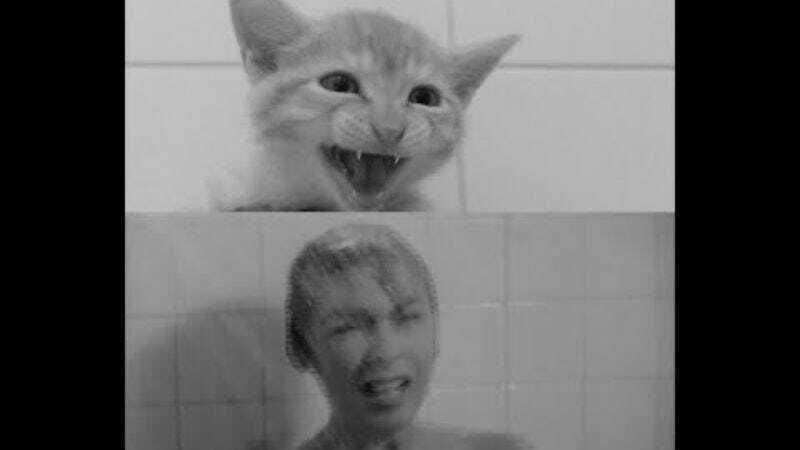 Thankfully, YouTube user Pasdidée has corrected that oversight by using two kittens named Anthony Purrkins and Chanet Leigh to reenact the film’s famous shower scene. Pasdidée conveniently presents his footage alongside Alfred Hitchcock’s 1960 original, which allows viewers to directly contrast the performances. Chanet Leigh (the cat) delivers an interpretation of terror that certainly rivals Janet Leigh (the human). And in a bold directorial choice, Pasdidée decides to reveal the identity of his kitten killer, lending the scene a new level of psychological drama.